To start off, I must give credit where credit is due. 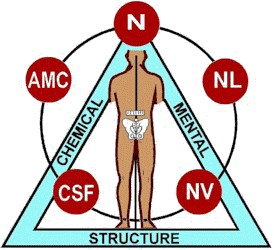 applied kinesiology was founded by the late, great George J. Goodheart, Jr., DC, DIBAK, in 1964. 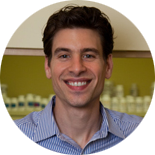 Would you consider a practitioner who prescribes herbs as “holistic?” What about someone who uses homeopathy? Perhaps you’ve even been to a chiropractor who uses alternative methods and supplements. Now, I’m not saying that those practitioners are not holistic. However, it’s obvious to me that the word “holistic” is thrown around and overused way too much nowadays. What makes a practitioner truly holistic? As you know by now, I am a chiropractor who specializes in applied kinesiology (AK). Right now I want to explain a little bit about what AK is, and how it is truly holistic (when practiced properly). First of all, AK sees each individual as having 3 levels of health – a.k.a. the triad of health. These levels are structural, chemical, and mental (or emotional). Each level is seen as having an equal amount of importance. Therefore, we can say that it is an equilateral triad of health. Thus, the AK logo above. The structural side of the triangle includes the cranium, pelvis, TMJ, spine, extremities, tissues (bones, muscles, ligaments, tendons, fascia, blood vessels, skin, etc. ), organs, and glands. The chemical side of the triangle includes nutrients, chemicals, toxic metals, pathogens, and allergens. Lastly, the mental/emotional side includes beliefs, attitudes, and emotions (e.g. : anger, fear, grief, etc.). All of these aspects of health can interact and affect one another. Let’s look at some examples now. 1) Primary Structural problem – an improper (or lack of full) motion in a particular joint – This can lead to pain because of a lack of stimulation of the nerve receptors that inhibit pain (i.e. : mechanoreceptors), in addition to loss of full range of movement leading to a breakdown in certain areas of the joint. This could be for any number of reasons; perhaps an injury, lack of exercise, etc.. This in turn would cause a chemical reaction by creating inflammation in that joint. And lastly, the release of stress hormones (or simply the pain itself) may lead to an emotional response, where that person becomes frustrated or upset. 2) Primary Chemical problem – a hormonal imbalance – Let’s say an excess of estrogen in a female (quite common by the way) is the major imbalance. This can lead to a problem through tissue swelling, extra fat distribution, and a breakdown of the connective tissue (collagen), which can manifest as a structural problem causing low back pain. And on the emotional side, the excess estrogen can cause pre-menstrual syndrome and result in irritability, depression, etc..
3) Primary Emotional problem –a person with anger – This can create a lot of tension in the neck muscles and cause “locking” (or lack of full motion) of the vertebrae in the neck, a structural problem. The emotional tension can then result in a rise in stress hormones that will affect the blood sugar and other hormones and chemicals. This is how a skilled applied kinesiologist will look at and understand his or her patients. A practitioner who can recognize these interrelationships, determine which is primarily the problem, and have tools to address them all is taking a truly holistic approach to helping someone. Check back for parts 2 and 3!